The prices for sailing charters and options below can be modified to suit your specific needs. Prices for sailing charters are billed on a per hour rate of $150 regardless of number of passengers (6 passenger maximum). Team building sessions April through September, can be held in conjunction with Wednesday and Friday night races. Team building for Midwinter races requires two days- a training day and a race day, as evening races aren’t held in winter. Training days will be held on Fridays with a Saturday race November through March. We can also do a less formal team building day with teams competing against each other in our own regatta with other charter operators. He has done numerous California coastal trips and to Mexico twice. He has also sailed in the Mediterranean, the Caribbean, South Pacific and New England. 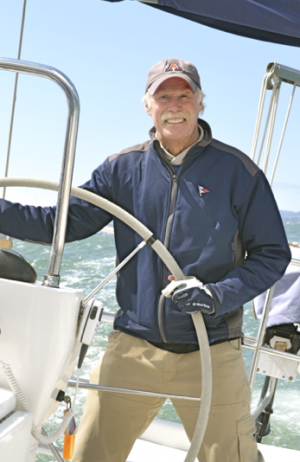 He has raced on many different types of boats on San Francisco Bay since age 14. He holds a U.S. Coast Guard captains license and would love to introduce you to the world of life on the water.